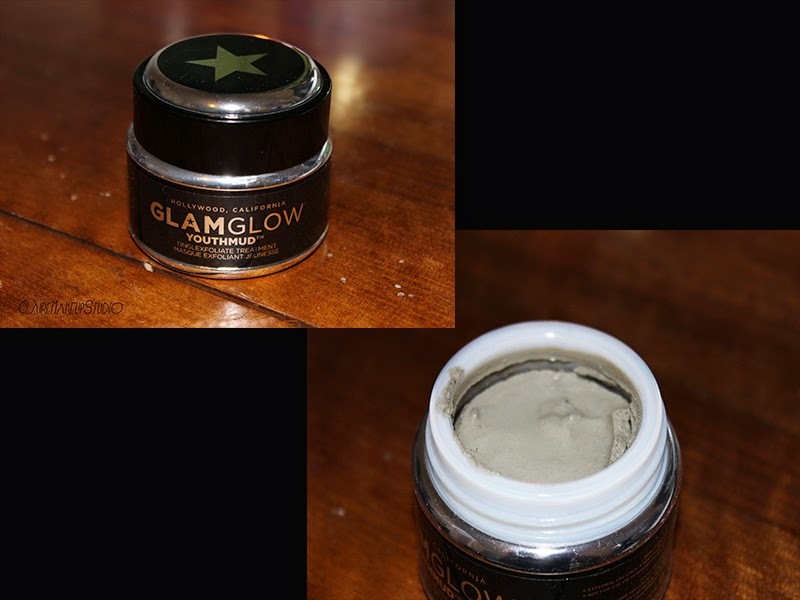 "GLAMGLOW was originally designed for exclusive professional backstage use in Hollywood. 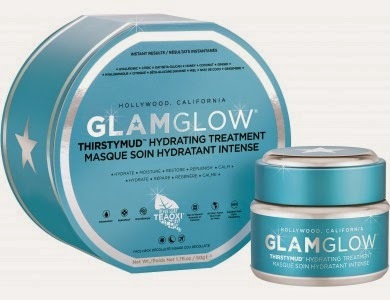 In 2011, GLAMGLOW became available to consumers worldwide and is now one of the hottest brands in skincare. Known for fast-acting and innovative mud treatments, their patent-pending formulas combine real pieces of leaf with high-end technology to deliver instant, visible results." Let me start by saying that I have been wanted to try out those products for ages ! Ok maybe not for ages but for a couple of years now. Because I live in France, and we all know France is ALWAYS late when it comes to launching products, I had to wait a long time to be able to try out those babies myself. I heard about them through youtube videos and many blogs and I really really wanted to try them out ! Back then I really wasn't sure about buying those products because I simply wasn't super interested and they are not cheap. They both retail for the same price, which sounds at first really weird and unfair because they don't have the same amount of product in them at all. The Supermud clearing treatment contains 34g/1.2fl.oz of product for 49,90€ taxes included (which is pretty much 50€ or 69$USD). The Youthmud tinglexfoliate treatment contains 50g/1.7fl.oz of product for the exact same price : 49,90€. Back in February, I finally decided to try out the Supermud clearing treatment. I bought the special deal they offered which was the full size of the Supermud + a mini size of the Youthmud (15g to be exact). It retailed for 49,90€/69$USD so I thought it was a great deal. The Supermud clearing treatment was the one that interested me the most because I heard people talking about it the most. "A scientifically advanced SUPER-MUD clearing treatment to target, prevent, and heal problem skin." 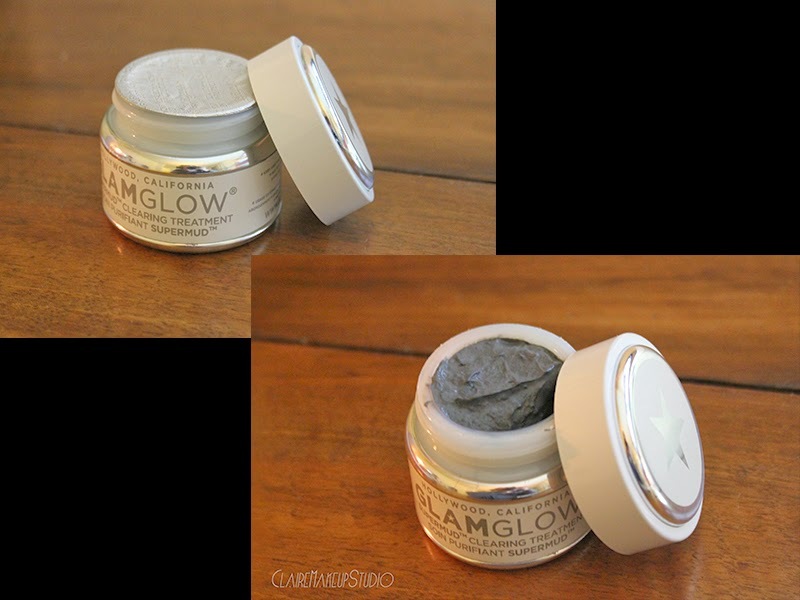 "This formula was clinically developed by GLAMGLOW dermatological chemists to help fight all common skin concerns including breakouts, discoloration, black and white heads, razor bumps, and in-grown hair. Powerful, skin-clearing mud visibly draws out dirt and congestion while a proprietary six-acid blend dramatically brightens and softens skin. It works to magnetically draw out dirt and pores with Activated-X Charcoal, leaving skin smooth and healthy-looking." It is also formulated without parabens, sulfates and phthalates. It contains ACNECIDIC-6, Activated-X Charcoal, K-17 Clay and TEAOXI. So what's my opinion about it and does it really work ?! My answer is yes it works absolutely. I love that mud ! I apply it once a week all over my face and it really helps keeping my skin clear and zit-free. It prevents and helps the healing process too. I really like to apply it as a spot treatment whenever I want. It doesn't dry out my skin (I have normal to dry skin) and it leaves a clean and fresh feeling face. I have nothing negative to say about it. The Pore-matrix absolutely reveals dots of vacuum extractions which is kind of scary at first lol. You really don't need a lot of it to cover your entire face. It also really helps keeping my pores clean. - The smell... I personally have no issue with it but it is a strong smell ! Some people say it smells like foot cream or toothpaste. I'd say it smells a lot like mint. It's a super duper fresh smell to me. - The price. It is not on the cheap side. And as I said before it's the most expensive out of their face masks. Quality/quantity = less interesting. But I believe it's their most sold and popular product so the price always goes up with popularity. So at the end of the day, you know why it's more expensive. At first I really wasn't so much interested in it to be honest I got the special deal because I thought it would be a great opportunity to try out more for less $. "A 10-minute professional-quality mud mask for men and women." 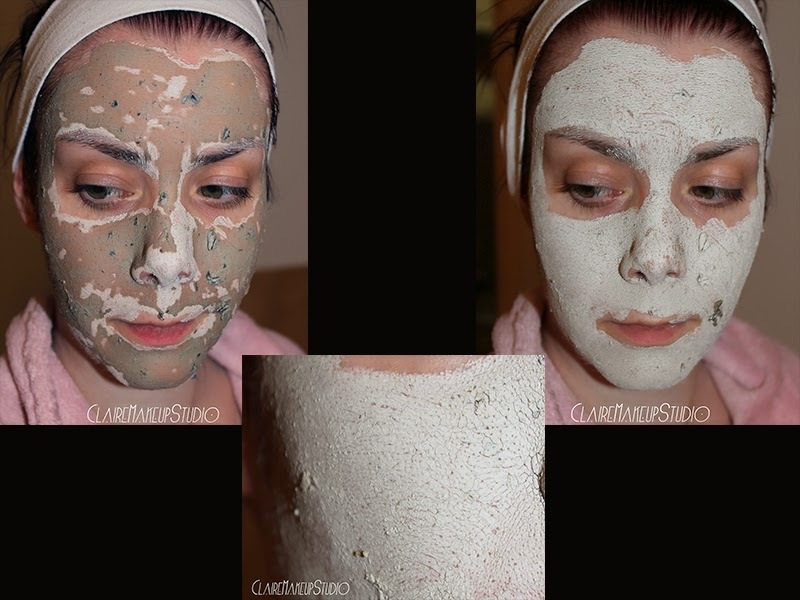 "This mud mask leaves skin noticeably radiant and glowing. It works with the body's natural moisturizing collagen to provide gentle resurfacing exfoliation and helps to leave skin smoother, brighter, and softer. While providing tighter skin texture and tighter pores, it provides a more youthful appearance and absorbs impurities without removing natural oils." It is also formulated without parabens, sulfates and phthalates. It contains French Sea Clay, Volcanic Pumice Rock and Green Tea Leaf Pieces. - To re-liquefy, add drops purified water and stir. My opinion and does it really work ?! My answer : ù%*$!,?"'&@#!!! YESSS YESSS AND YESSS ! OMG I love, adore that stuff !!! More than the Supermud. It is the best mask I've ever tried in my life and I'm not even kidding. I can't believe I thought I wouldn't like it that much. My skin has never looked and feel better now that I use it. I use it once to twice a week all over my face and down my neck. The first time I used it I was kind of worried but like it says it's a tinglexfoliate treatment so it will warm up on your face at first. Nothing to be worried about because after 5 minutes you don't feel anything anymore. And the more you use it the less you feel it warming up on your face. The smell is very different from the Supermud and most people won't be complaining about it. It has some green tea leaf pieces that will kind of make the application weird at first. My skin has dramatically changed since I started using it. My pores are tighter (after the first use it's like BAM ! ), my skin feels softer and looks brighter. I have normal to dry skin and I don't feel like this mud dries out my skin at all which can happen a lot when using that type of exfoliating mask. There is only one thing I think they should work on : a spatula. They say to re-liquefy it from time to time which I do but I have to do it with a small spoon because it doesn't come with a spatula. If you're gonna market your product with that indication, you NEED to put a spatula in the packaging. If not I don't think most people will care to add drops of purified water and stir. Would I buy these GlamGlow products again ? The price for each of these is not on the cheap side but if you can afford it, definitely get them ! If I had to choose I'd buy the Youthmud over the Supermud. I actually bought the regular sized 50g/1.7fl.oz Youthmud once I finished the mini sized one. 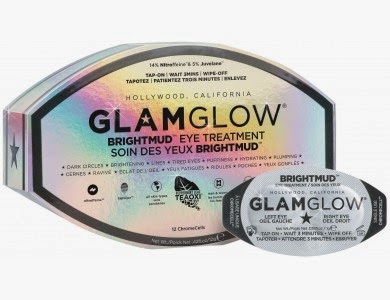 I hope I'll be able to get my hands on their Brightmud Eye treatment as soon as it's released in France, hopefully very soon. That's it guys ! Hope you enjoyed this review. 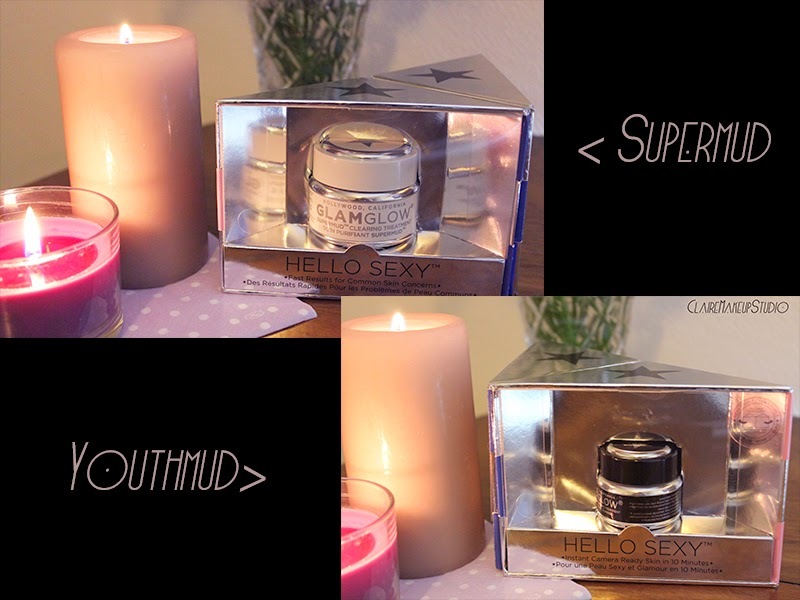 :) Let me know if you've tried some of the GlamGlow products and what you think about them. And if you haven't if you're interested in trying them out !